Actor Hugh Jackman aka Wolverine is currently promoting his newest film Chappie, which will open in theaters this weekend. The actor (46) recently sat down with MTV UK to talk about his role in the sci-fi, as well as future plans with the X-Men franchise. When asked whether or not he will be featured in Ryan Reynold’s Deadpool, Jackman praised Reynolds sharing, “Ryan is a really good friend…He’s a really good actor, and he will nail that [role].” In terms of his own potential role as Wolverine, the actor stated that he would be, “open to that idea,” although he has yet to confirm anything. Reynolds and Jackman first appeared together on screen in the 2009 spin-off X-Men Origins: Wolverine, which has a 38% rating on Rotten Tomatoes, yet gained the number one spot at the box office with a worldwide gross of $373,062,864. 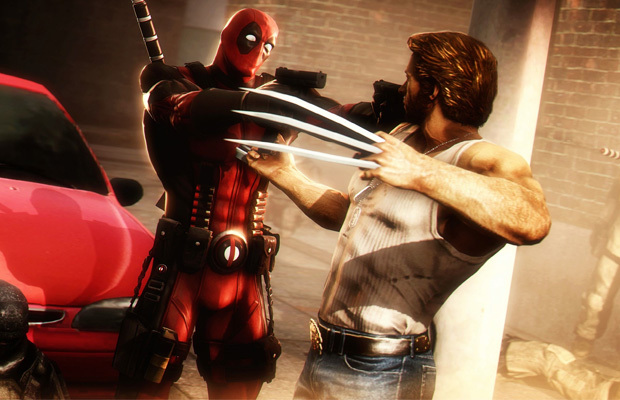 Jackman noted in the interview that Deadpool and Wolverine are “definitely enemies” in the comics and that, “they always spark off well together.” For now though, expect to see Jackman on screen as Wolverine in March 2017.